Since we last updated you, the new power facility has become fully functional. 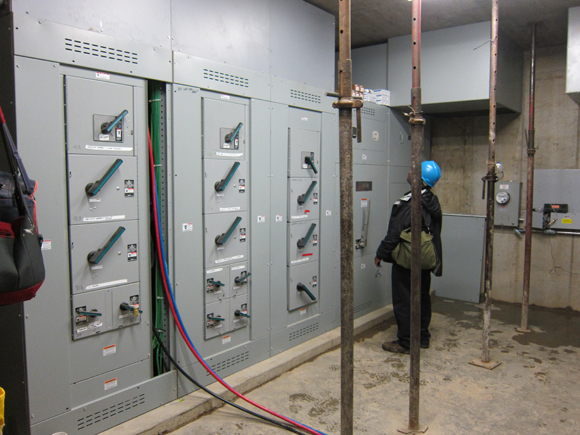 On November 14, we energized our power system, enabling us to power Citi Pond, The Holiday Shops, Celsius, and all of the accompanying events through the switchgear room on-site. Now all that's left to do is put finishing touches on the structure, return irrigation lines and pavers, and tidy up the site. Inside the power facility you can see that the switchboards have been organized and wires tucked away, since we last looked inside in October. 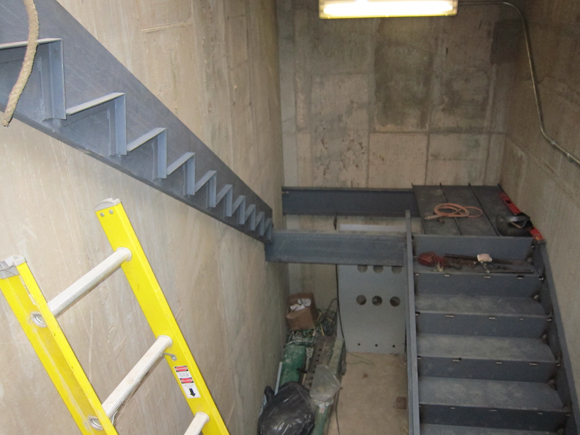 The ladder down into the space has been replaced with real stairs, and the hatch will soon be completed with a hydraulic lift. 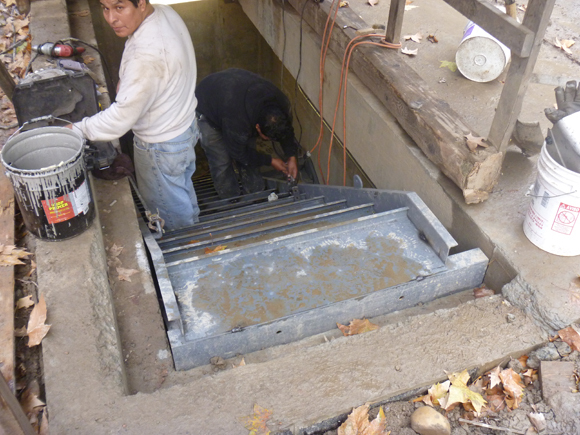 Outside, above the switchgear room, we've been working to restore the area behind the fence to original conditions. If you'll remember, the new electrical facility for the park will be housed completely underground. Once the project is finished, you won't even know it's under there. Next crews will restore bluestone pavers that were removed at the start of construction, and replace any that were damaged in the process. 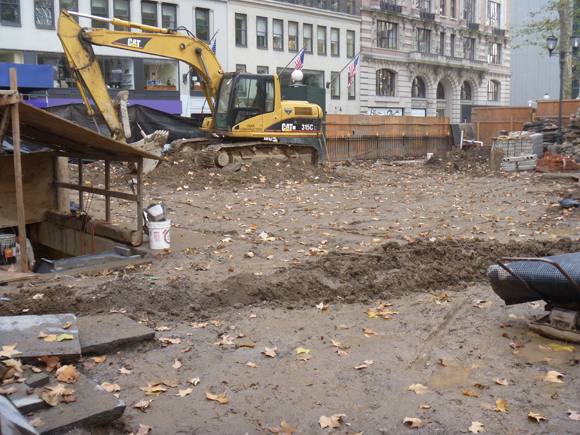 Once pavers are secure, we can remove the construction fence, and reopen the park space to the public.